Perfect bolt hole that won't break the bank! Excideuil, in the north-east of the ever popular Dordogne department, is historical and quaint, at least it is in the narrow streets of the old town. Many of Excideuil's houses date from the 15th and 16th centuries and these add to the village's historical character. The church in the centre proudly shows off its gothic architecture from the same period. Large medieval ramparts surround Excideuil's castle, which played a key part in establishing the village as the capital of the Green Perigord. It is set impressively on a rocky outcrop, overlooking the Loue Valley. The town lies in the heart of what is known as Green Perigord, a vast expanse of land covered with deep valleys and trickling streams. Its southern neighbours, White, Purple and Black Perigord, all offer their own unique touch to the area. White for its impressive limestone, black for its deep forests and purple for its grapes, the essential ingredient in a certain drink produced here. Near the Excideuil you will discover the Perigord-Limousin Natural Park. Excideuil offers most amenities, though should you require a larger town, Périgueux is only 30 minutes away. One of Excideuil's attractions is its Thursday market, when the town becomes busy and bustling. Here you can sample the local produce and experience all things French. The Dordogne is is a very popular area for British buyers. The major town of Ribérac, approximately one and a half hours away (73 kilometres), has been dubbed by the French as "Little Britain". For many British buyers the presence of their fellow ex-pats can provide familiarity and security. 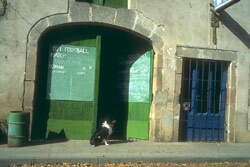 Excideuil, however, is ideally suited in the Dordogne as it is not as busy as many areas in the Dordogne. The nearest international airport is Limoges, which offers direct flights from the UK with Ryanair and flybe. Bergerac is also nearby, which is served by the same two airlines. Périgueux also has an airport, though this is currently used for domestic flights. Despite the popularity of the Dordogne property market with foreign buyers, Excideuil remains a reasonably priced town in which to buy. For many it is a sensible alternative to the busier southern Dordogne. Do you know Excideuil better than we do? Do you have photos of Excideuil? 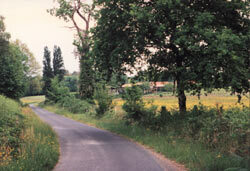 The town lies in the north-east of the Dordogne department. Access: The nearest international airport is to be found in Limoges. Economy: Tourism and conservation and two important industries for the whole region. Interesting fact: The town is located in the heart of Green Perigord, so called because of its lush environment.